I saw this recipe on pinterest and had to try it. I had to tinker a bit with the original amounts because the avocados I find here in Spain are not as flavourful as the ones that I used to get back in the States. Still, it is defintely worth it because it tastes great! These were the amounts I used but you know you can adjust the flavours the way you like the hummus best. 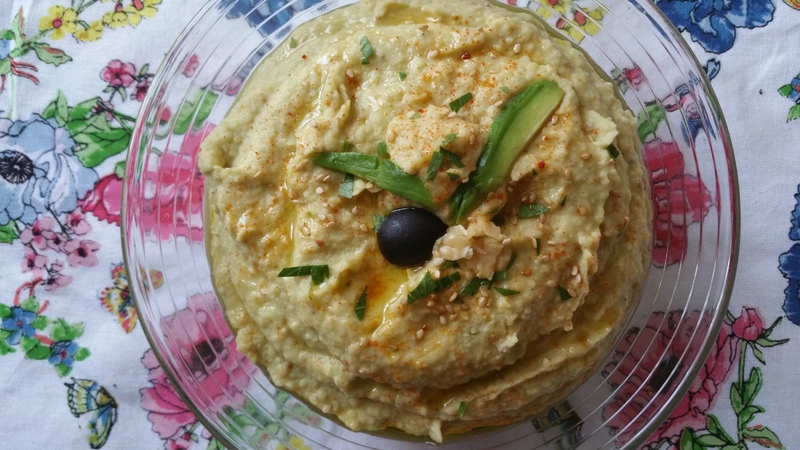 This makes A LOT of hummus so you may want to halve the amounts! Puree everything in a food processor adding as much water as needed to get the desired consistency. Sprinkle a dash of olive oil, sesame sedes and cayenne on top. Oh I must try that combination I love hummus.